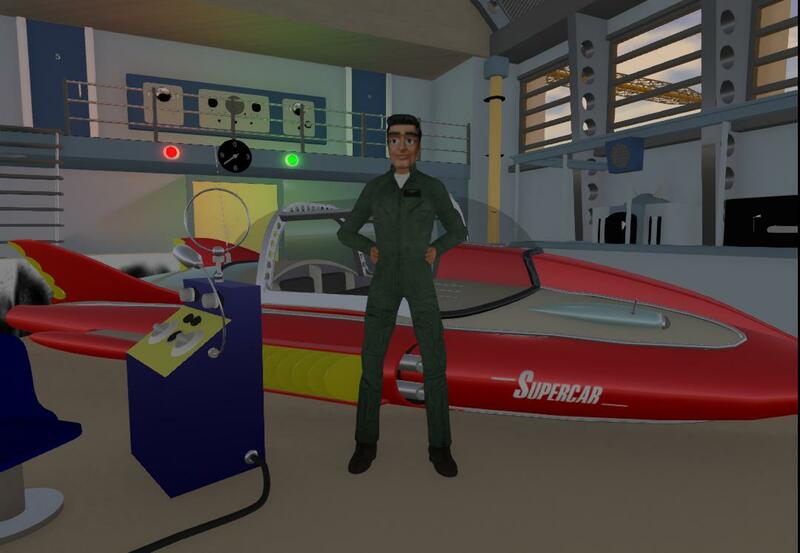 As a test of the “Autodesk 123D Catch” app, I tested this on a small Robert Harrop figurine [SUF01] of Mike Mercury from Gerry Anderson’s Supercar. 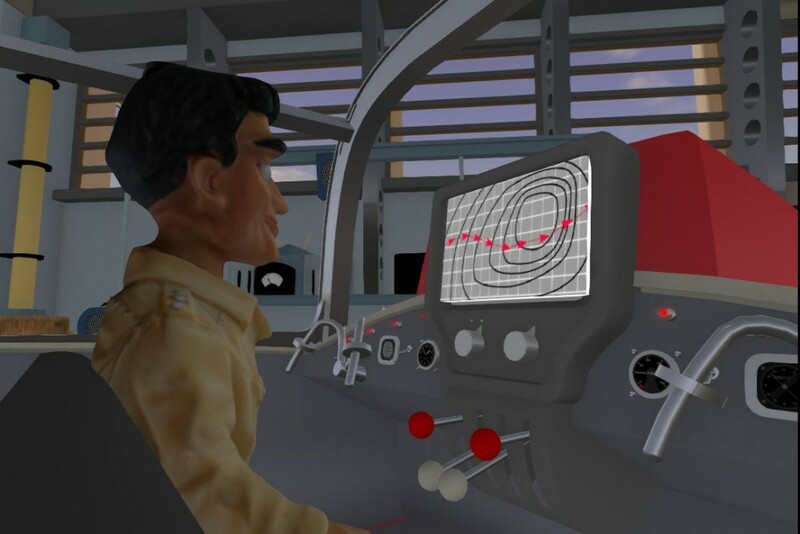 The figure was photographed from multiple directions and passed through the app to create a 3D model, which was then exported to .FBX or .OBJ formats. 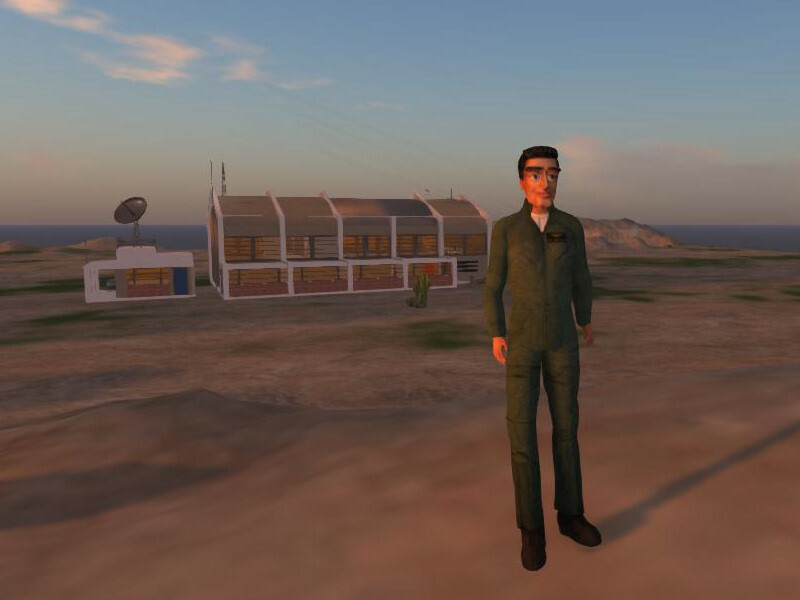 I converted the .OBJ model to Collada via 3D Max 2015 and uploaded that mesh to OpenSim. The single texture exported by the 123D app originally was a 4096×4096 jpeg, so to be able to upload that to OpenSim it was resized to 1024×1024. In world it could just be applied directly to the imported mesh and it registered perfectly. 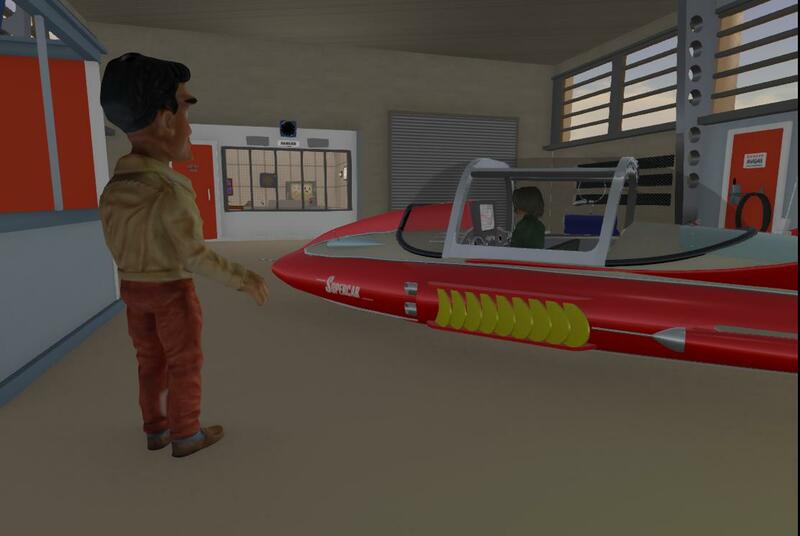 A bit of rotation and resizing and the mesh is as you see it in the images here. Improved and more uniform lighting and a few more images from a more overhead angle and some from low down looking upwards would improve the mesh, as there are some shadow 3D slid parts between the figure’s legs and there is a small hole in the to of the skull. 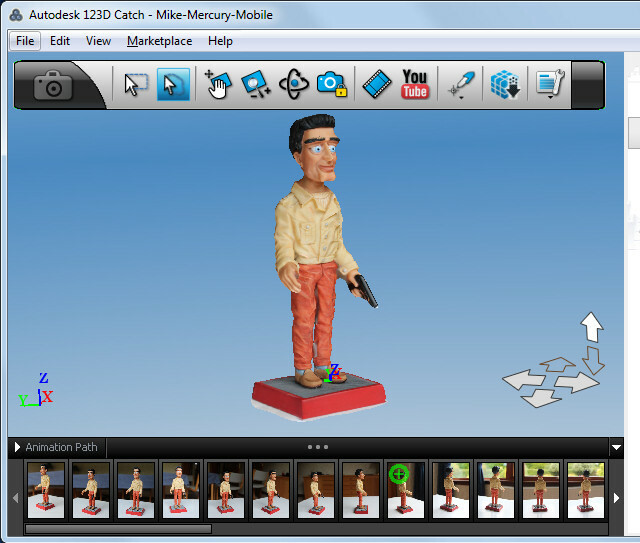 The 123D catch app also lets you select just part of a mesh and export that, so I tried also this with the Mike Mercury head. 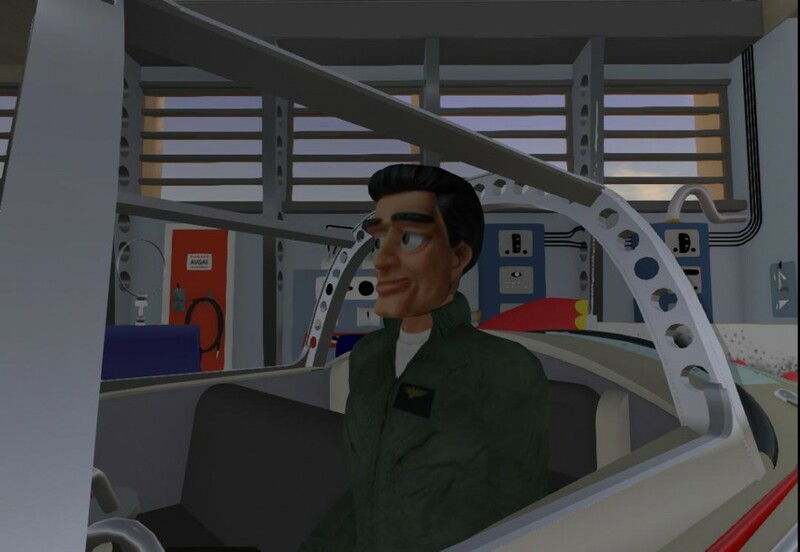 Once exported via .OBJ format and converted in 3DS Max 2015 to Collada .DAE format, this was uploaded to OpenSim, resized, textured and adjusted as an attachment on the “Skull” position. 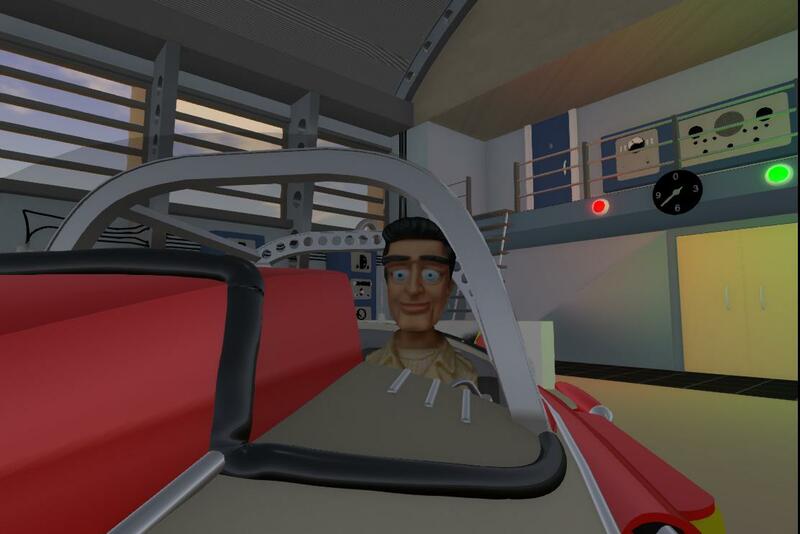 The eyes have to show and be animated, and the head model at present has eyes in place, so careful positioning was needed to make these work reasonably without further 3D mesh adjustment. The eyes ought to be adjusted via vertex editing to have them be sunken in to make this work better. Another free tool, the “Autodesk Meshmixer” may be able to do this. 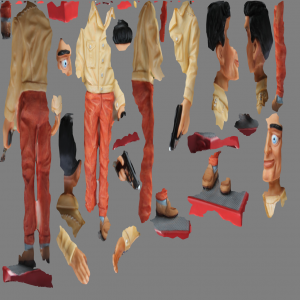 It can load the .OBJ file and texture created by 123D catch and allows for it to be manipulated, as well as then output to Collada format directly. 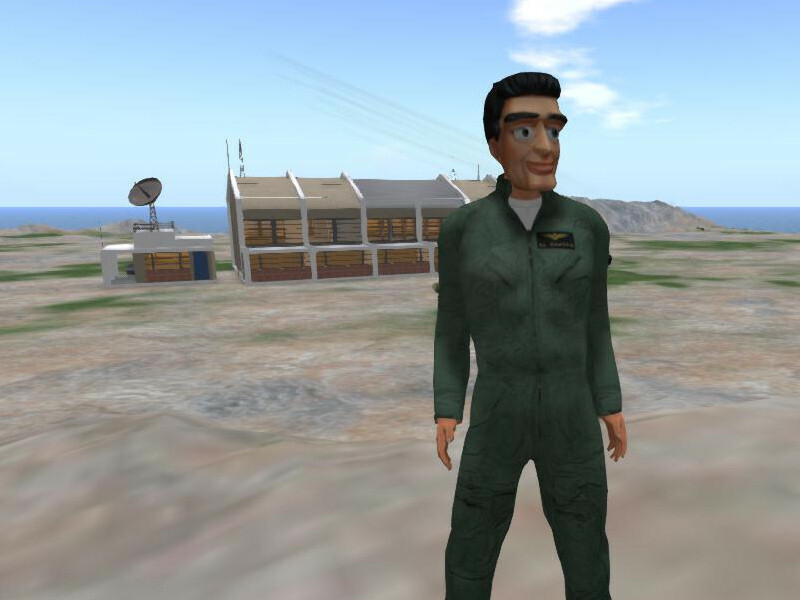 Adding an “Alpha layer” which hid the underlying avatar head but left the neck visible, plus adding a collar to the flight suit to hide the colour variances between the head model and an existing male avatar skin completed the appearance. 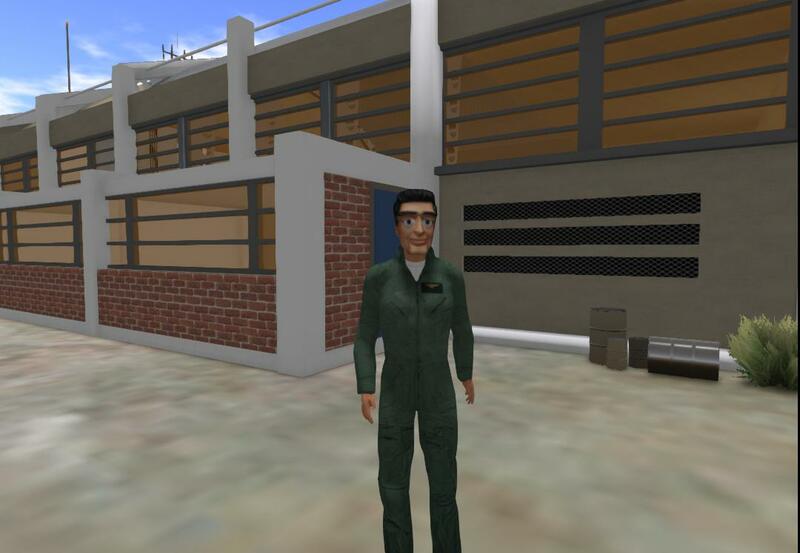 It was then possible to “clone” this appearance using the “osAgentSaveAppearance” function in OpenSim, and then use this in the seat of Supercar on the Black Rock region in OSGrid to provide a Mike Mercury pilot NPC. 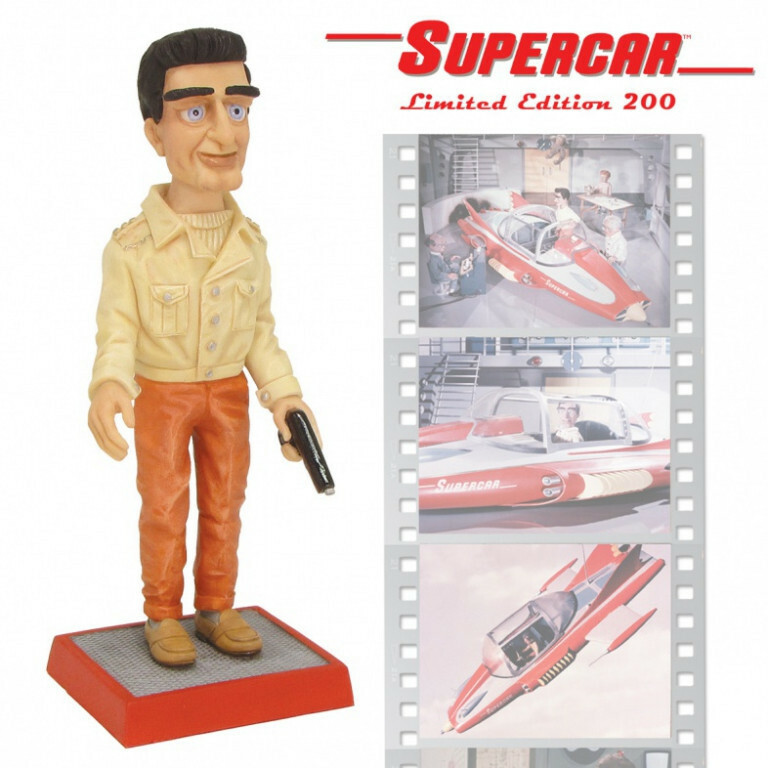 Hand painted ceramic resin figurine from the Supercar Supermarionation Collection. Designed and sculpted in Shropshire, England, by Robert Harrop Designs. 170mm tall. A Limited Edition of 200 figurines. 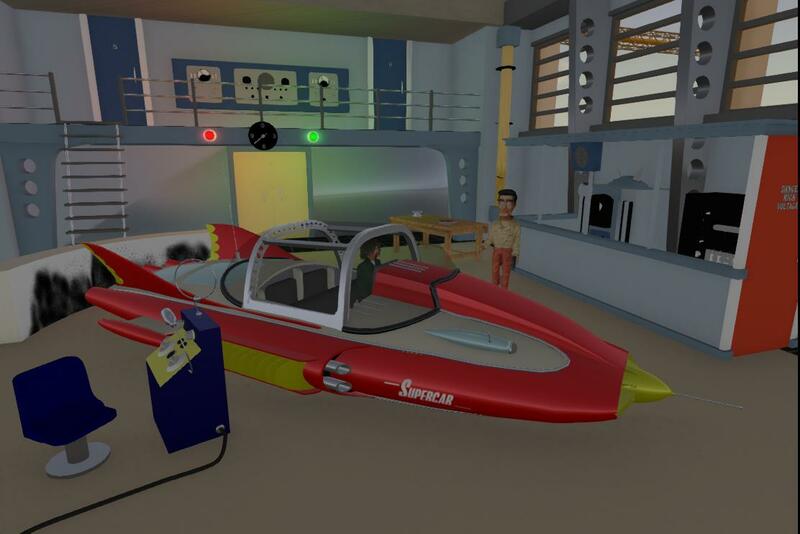 This entry was posted in Gerry Anderson, OpenSim, Supercar, Virtual World and tagged 3D, Mike Mercury, OpenSim, Supercar, Virtual World. Bookmark the permalink.